The Standard Wheelchair is an easy to use wheelchair which offers outstanding value for a durable product. Strength of the wheelchair is increased by the double cross brace under the seat and fixed footrests. Solid outdoors tyres specially fitted to our sport rims allows users to use them both indoors and outdoors. 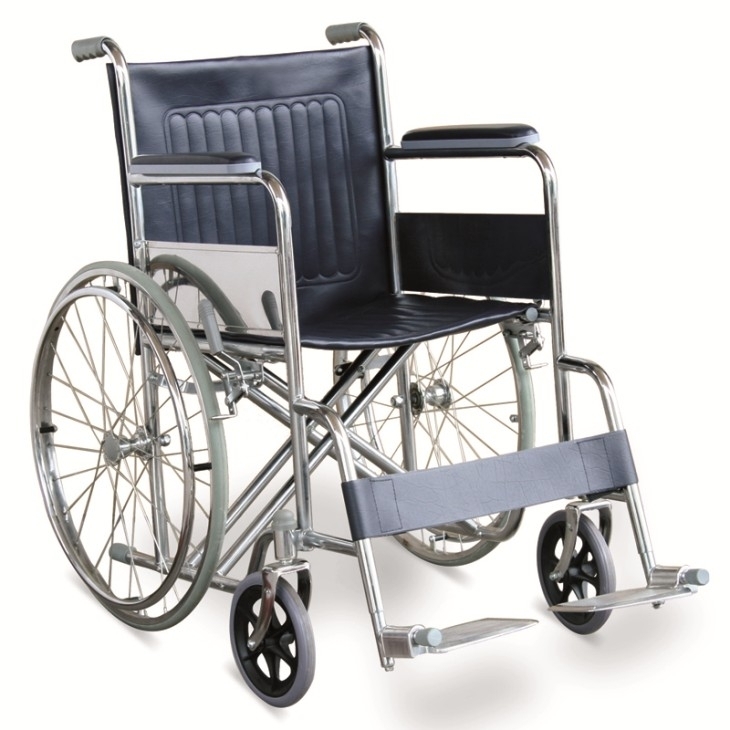 12 months warranty on wheelchair frame against manufacturer defects.